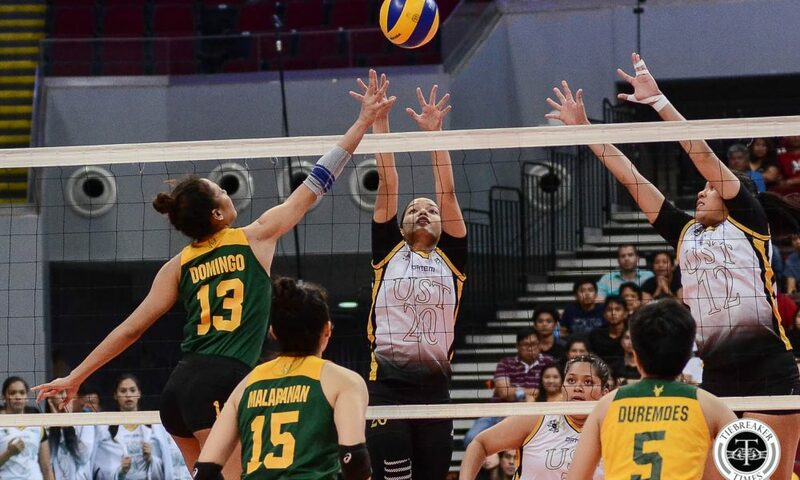 Having clinched a Final Four berth due to the result of the prior match, the University of Santo Tomas Golden Tigresses maintained their chance to sweeten their return to the semis with a twice-to-beat incentive after clobbering the Far Eastern University Lady Tamaraws, 25-23, 25-19, 25-23, at the SM Mall of Asia Arena. 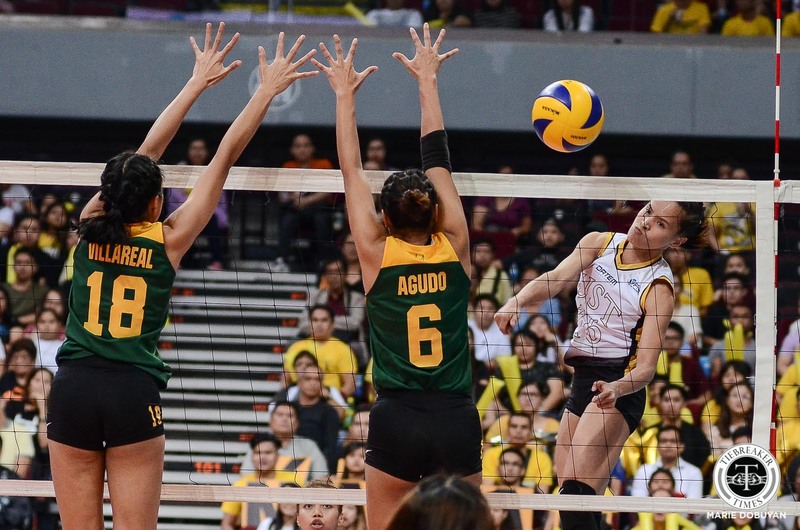 The Lady Tamaraws stormed back from a 20-14 lead and rode Gel Cayuna’s solid serving to a 22-20 lead. 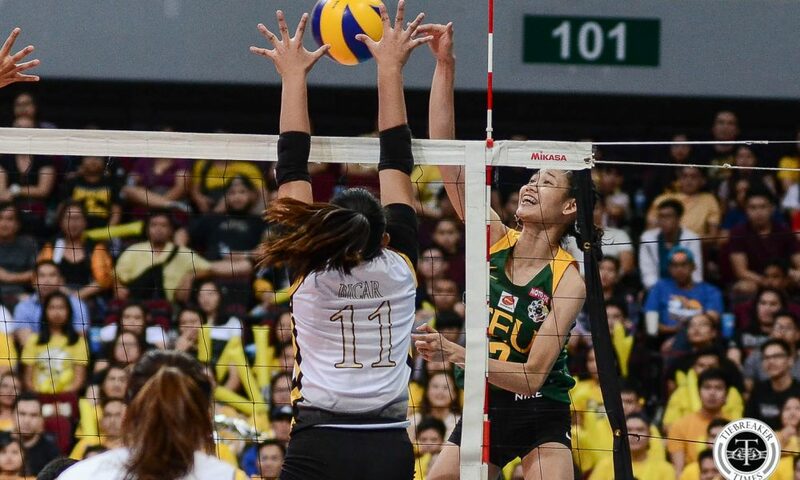 Sisi Rondina and Eya Laure, however, closed the match by conspiring for UST’s next five points. 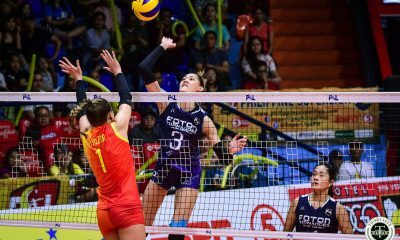 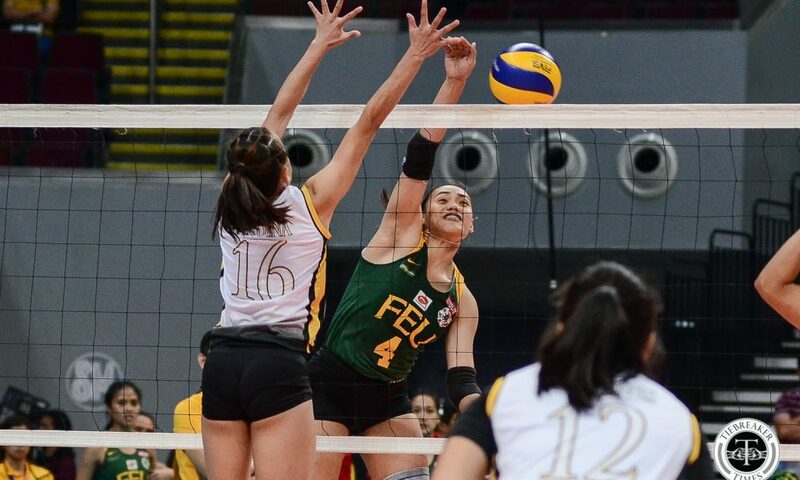 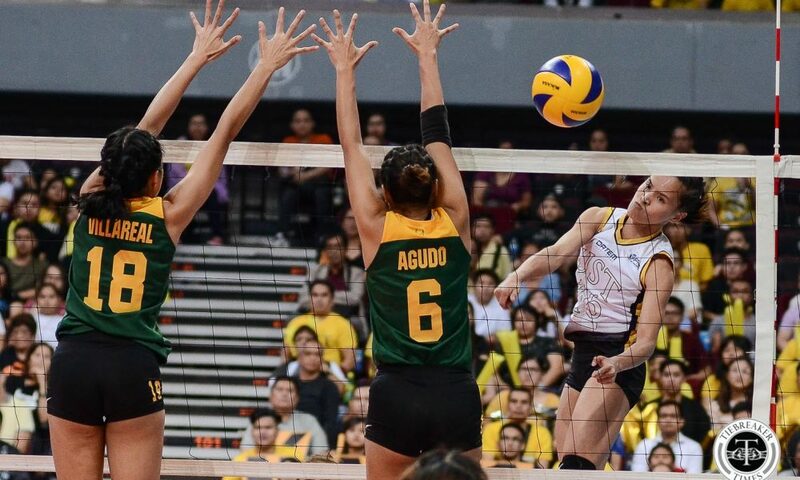 Both the Tigresses and Lady Tamaraws were propelled into the Final Four after National University knocked off University of the Philippines from contention in the earlier match. 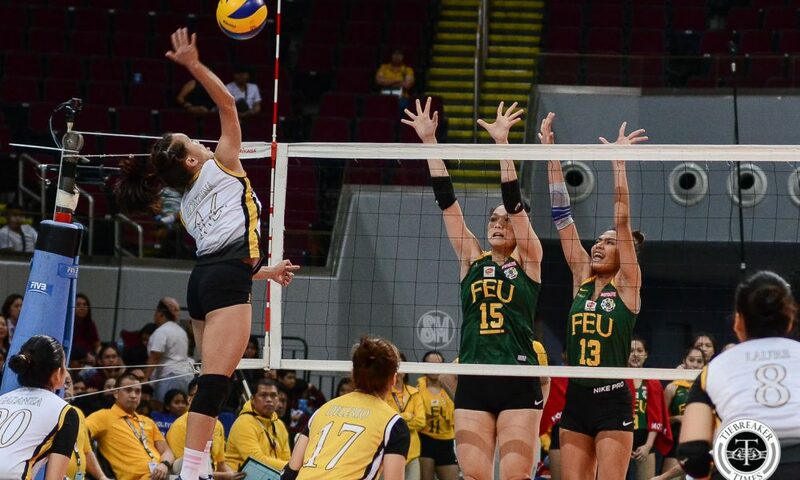 UST follows second seed De La Salle University closely (9-3) after improving their record to 9-4. 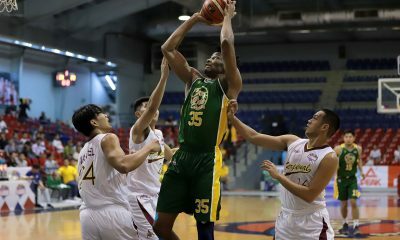 FEU, on the other hand, dropped to fourth with an 8-5 card. 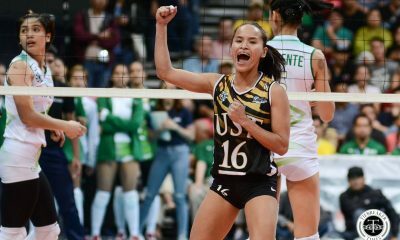 Despite having already clinched Final Four berth, UST stayed focused on the match and the chance for a twice-to-beat incentive. 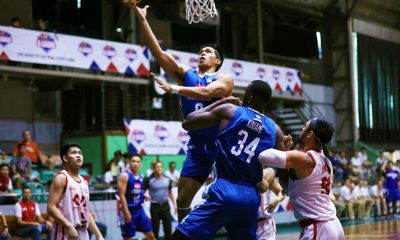 “Medyo maganda ‘yung ranking ngayon kasi safe na yata kami sa Final Four. 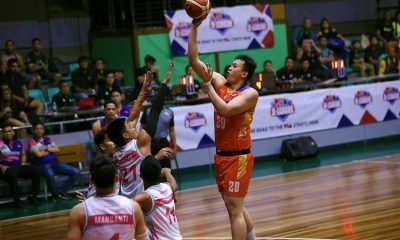 So again, meron pa kaming remaining games. 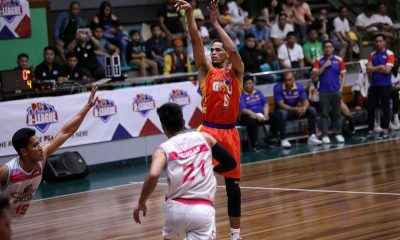 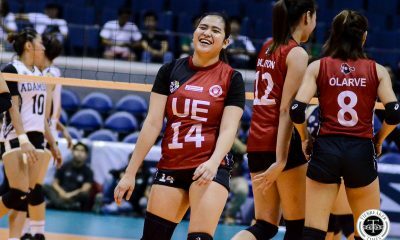 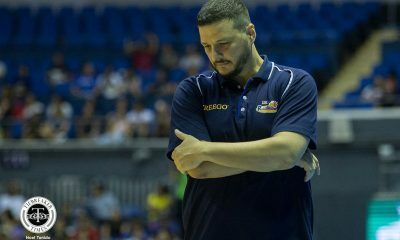 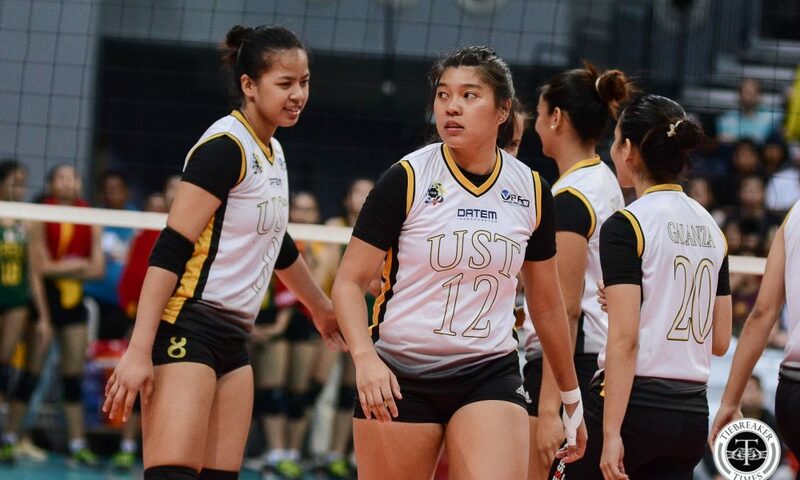 Gusto naming tapusin in high note ang elimination,” said UST head coach Kungfu Reyes. 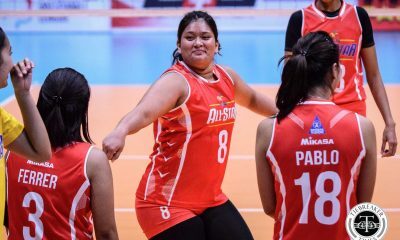 “May mga laro pa rin na naiiwan. 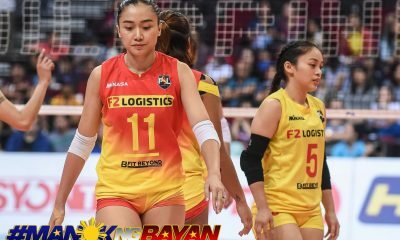 Titingnan pa namin kung mababago pa ang standing sa two, three, and four. 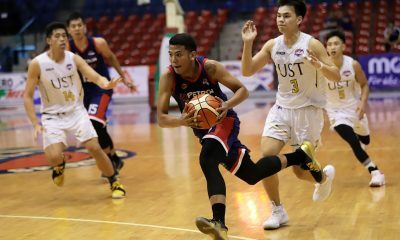 Basta ise-secure namin ‘yung Final Four namin. 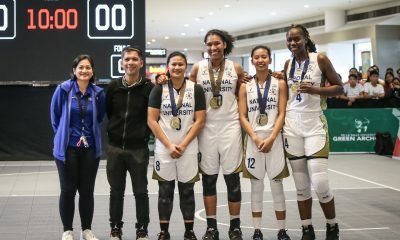 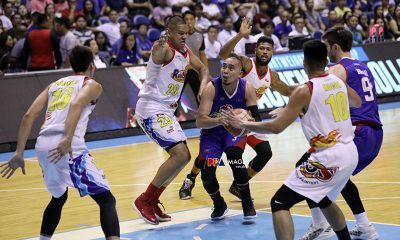 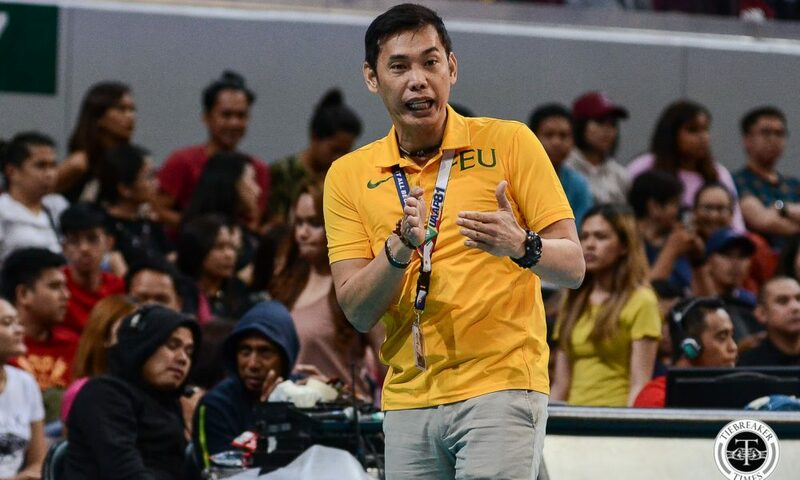 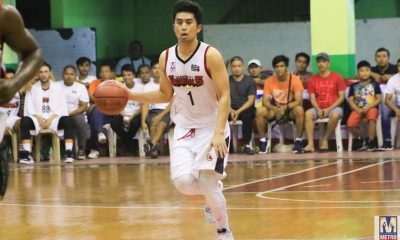 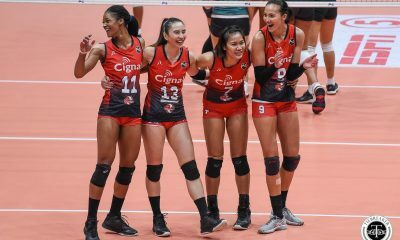 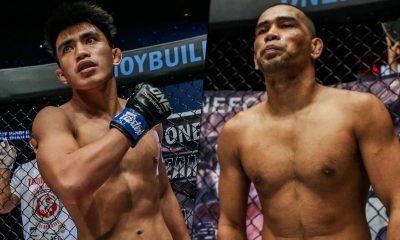 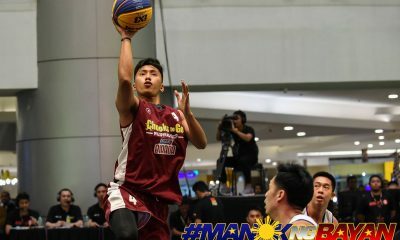 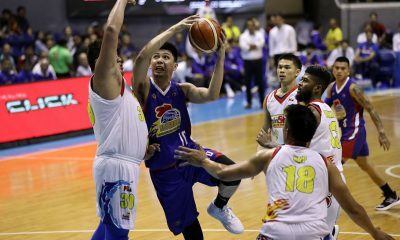 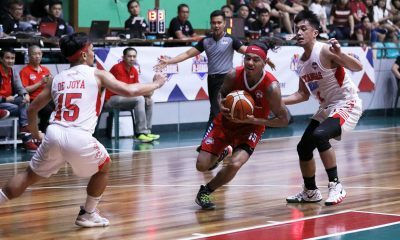 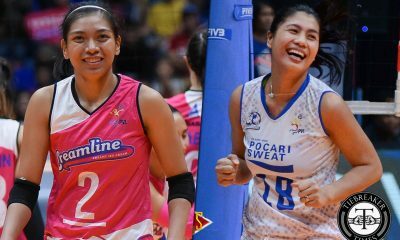 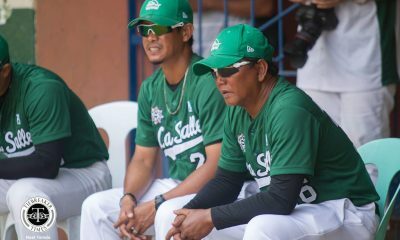 Tatapusin namin nang mas maayos para pagdating ng semis mas pulido na yung igagalaw namin,” the youth national team mentor added. 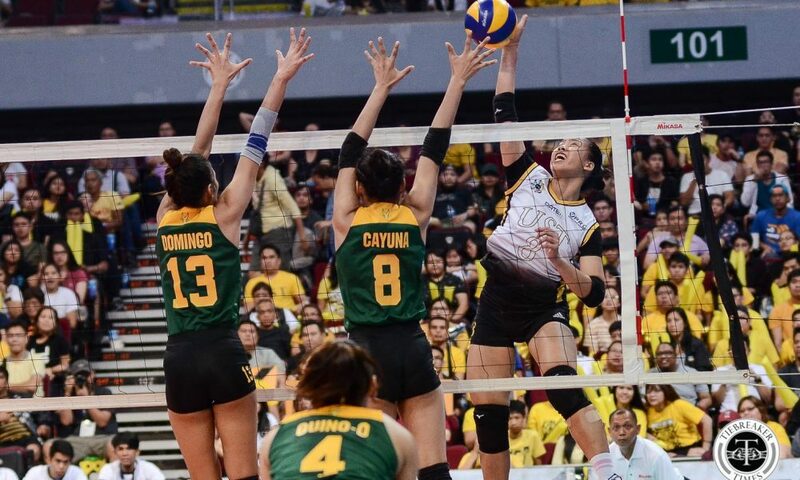 Rondia scintillated for 21 points off 17 attacks, three blocks, and an ace. 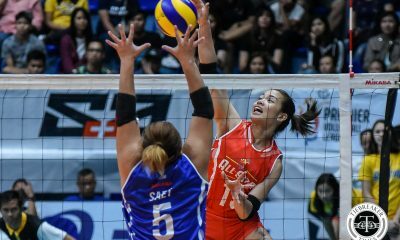 Laure contributed 17 markers from 13 attacks, three blocks, and an ace. 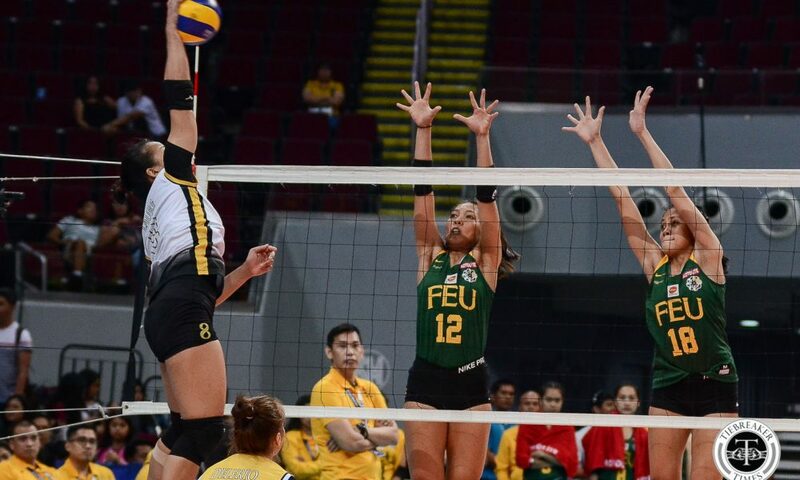 Heather Guino-O was the lone Lady Tamaraw in double-digits with 14 points off 11 attacks and three aces. 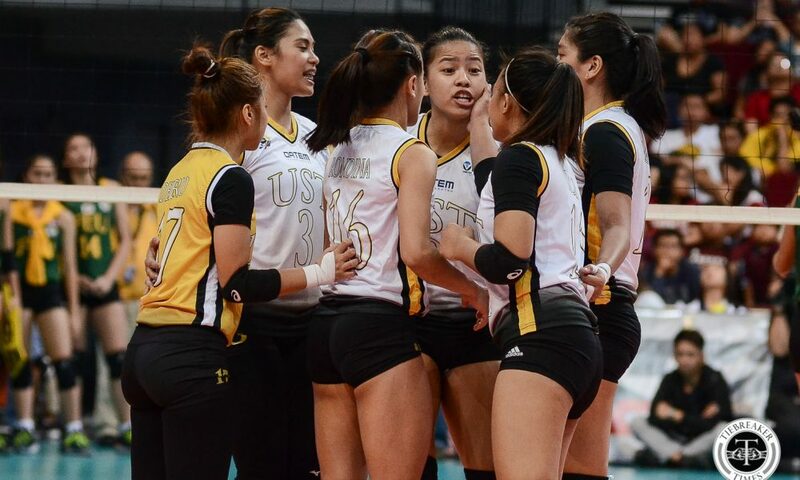 UST ends their elimination round on April 27 against National University (4-9). 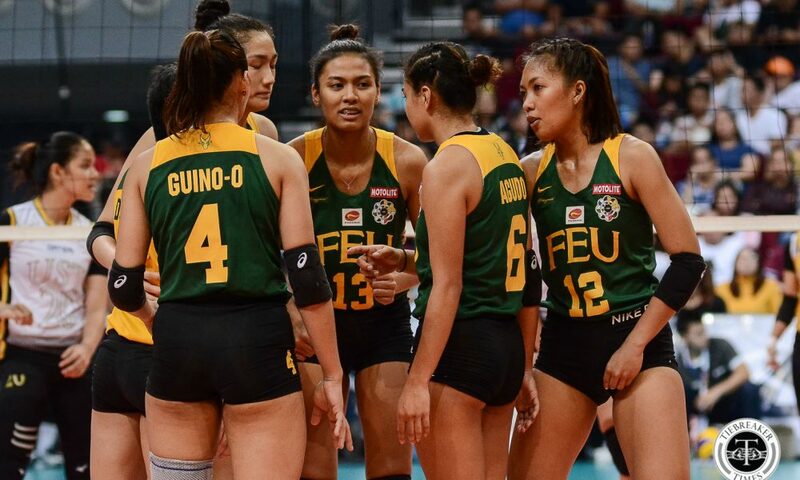 FEU takes on La Salle on April 28 in a Season 80 Final rematch. 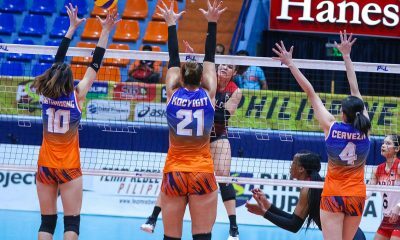 Both matches will be played at the FilOil Flying V Centre.